Dental sealants act as a barrier to prevent cavities. The treatment entails applying a thin, safe plastic coating to the molars, which are the most commonly used teeth for chewing, protecting them from plaque and acids. The process of applying the sealants is painless. The plastic resin painted on the teeth bonds directly on to the tooth and hardens. Children and teenagers are the most common candidates for dental sealants as they are the most prone to cavities, however they are useful and suitable for adults as well. In Rockefeller Plaza, Dr. Rausch can apply sealants to patients of all ages. Now that you have the advanced cavity protection that only dental sealants offer, how can you maintain this high level of protection? 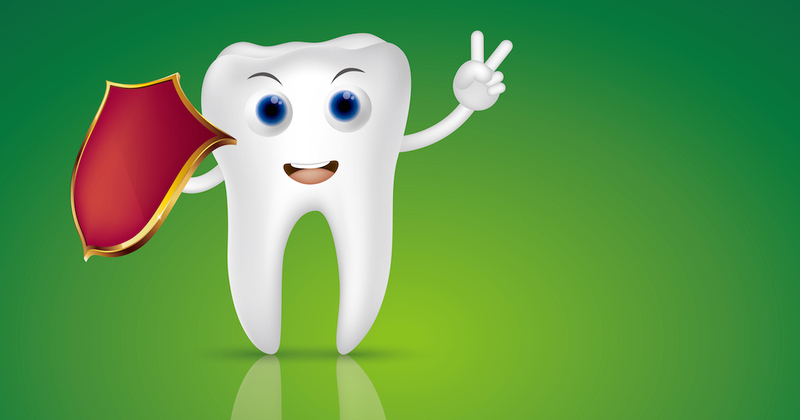 Find out how to keep your tooth sealants in top shape. Been seeing Dr. Rausch for years. Through and gentle, with friendly dental hygienists. The front office staff are on top of their work too. Very competent and friendly practice. Highly recommend for all dental needs. Have always received excellent care, Dr Rausch is such a skilled clinician. I recommend him highly to our entire office, friends, and family. Dr. Rausch, and his staff, are professional, sensitive to your needs, and committed to their profession. Great dentist, awesome work, caring and very gentle. Thank you Dr. Rausch !! AWESOME! Not afraid of dentists anymore. Haven’t met anyone so nice and charming like him. He will make you feel comfortable and relaxed!